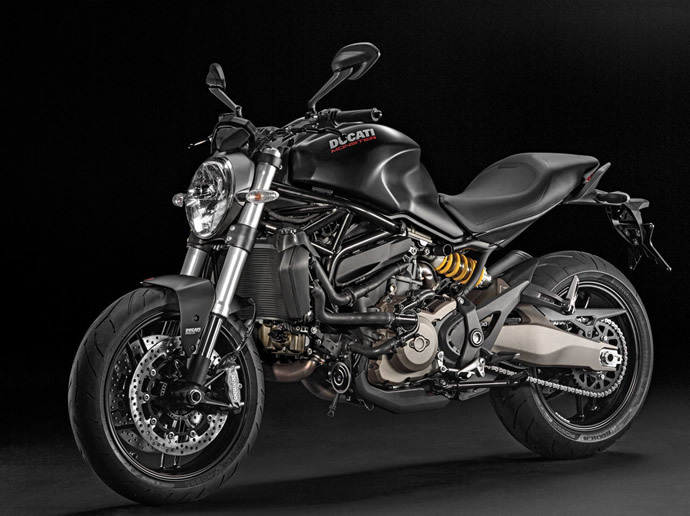 Last year in the month of November, Ducati unveiled the third-generation model the Monster 1200 at EICMA. 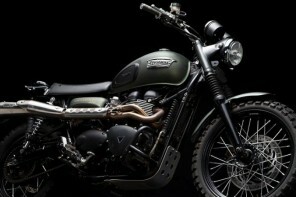 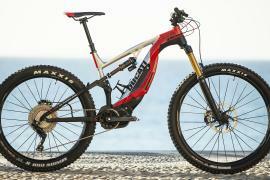 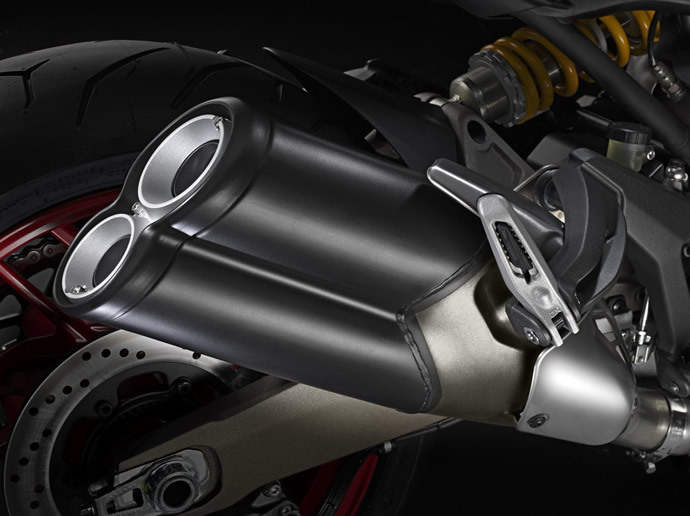 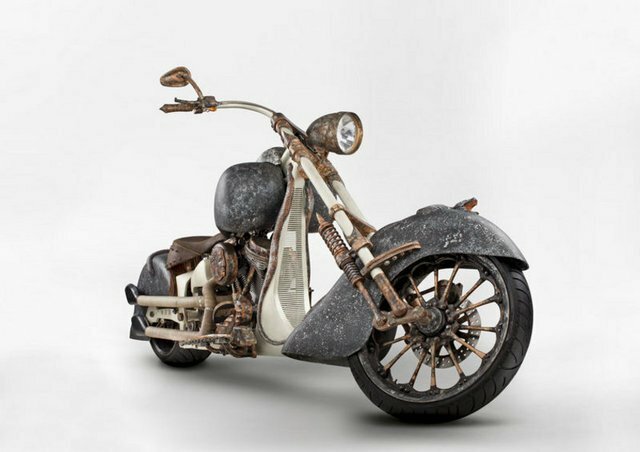 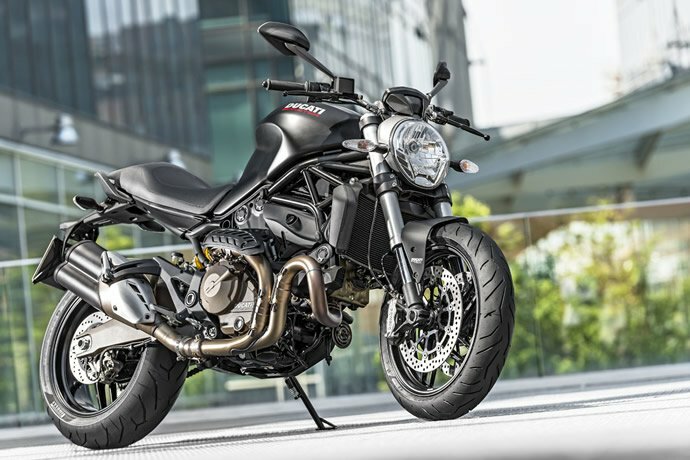 The liquid-cooled range-topping naked bike quickly caught the attention of motorcycle enthusiasts with its brawny looks and beefed-up stance. 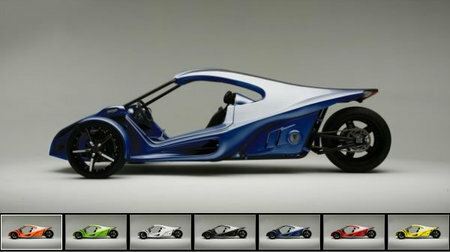 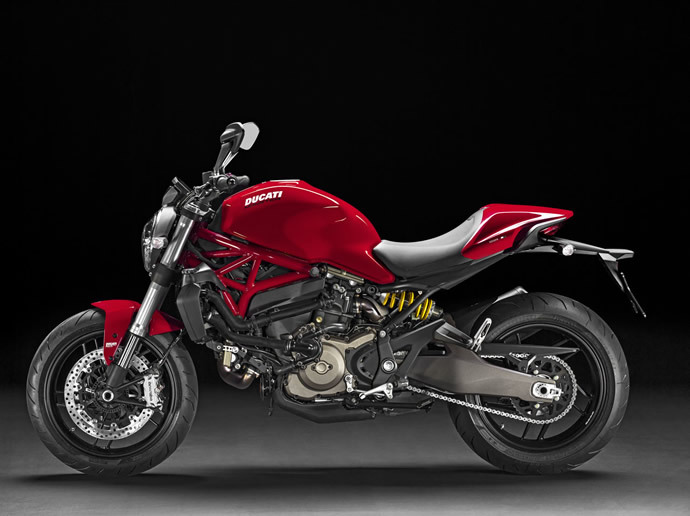 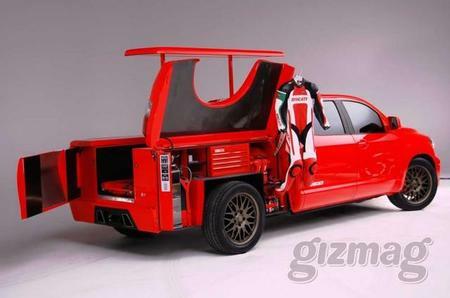 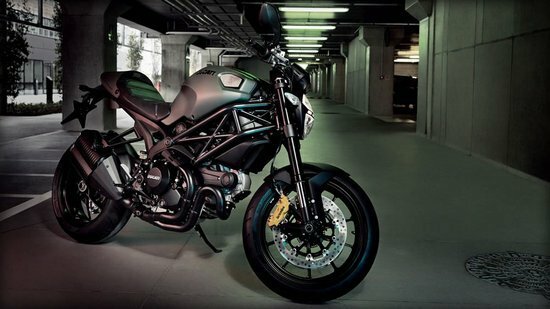 But the Italian marquee has been taking the mid-size segment seriously and has launched a new naked performance motorcycle named the “Monster 821” which replaces the now-discontinued 1100 EVO model. 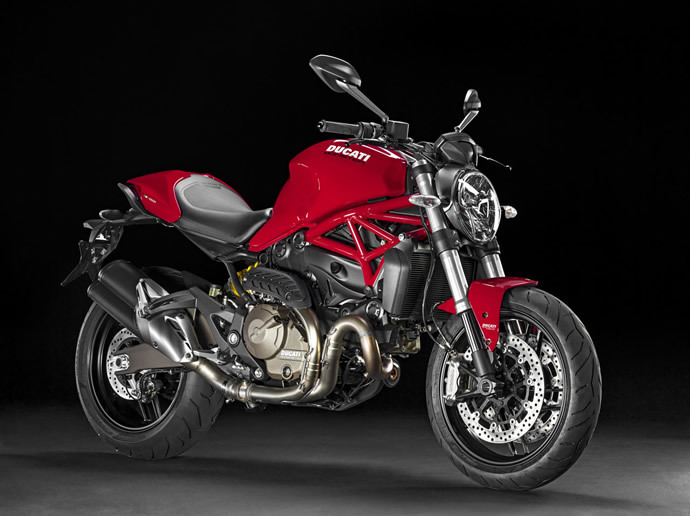 For those who are looking to buy a Ducati that looks as stunning as the Monster 1200 but with lesser displacement and more accessible price, the brand new Ducati Monster 821 is the perfect choice as it almost looks identical to its more powerful sibling. 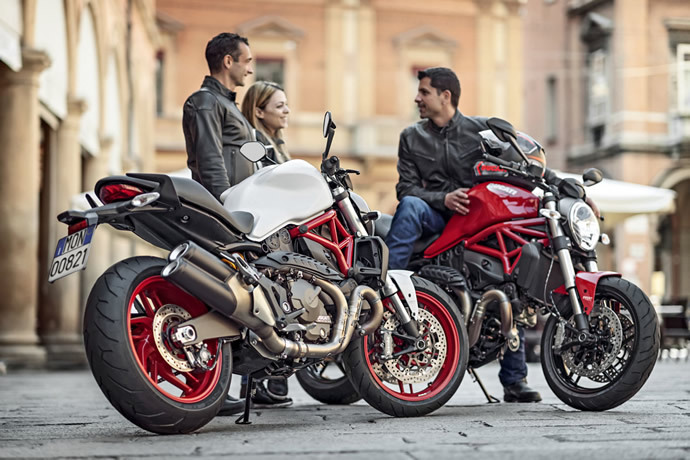 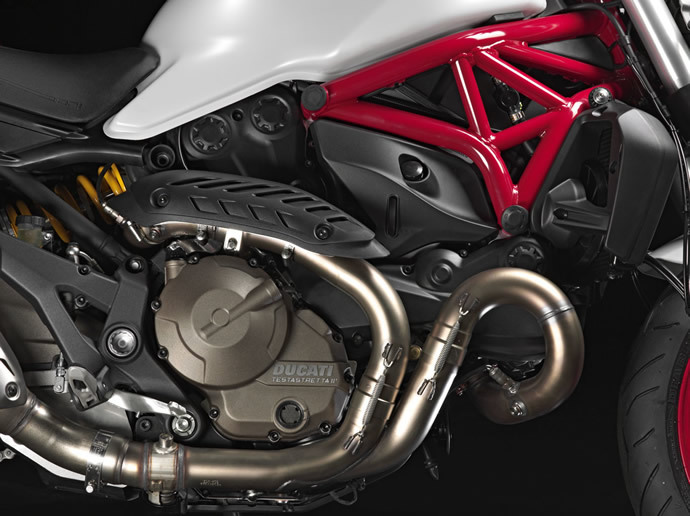 The new mid-sized Ducati Monster is powered by the water-cooled 821cc Testastretta 11° engine which can also be found in the recently revised Hypermotard. 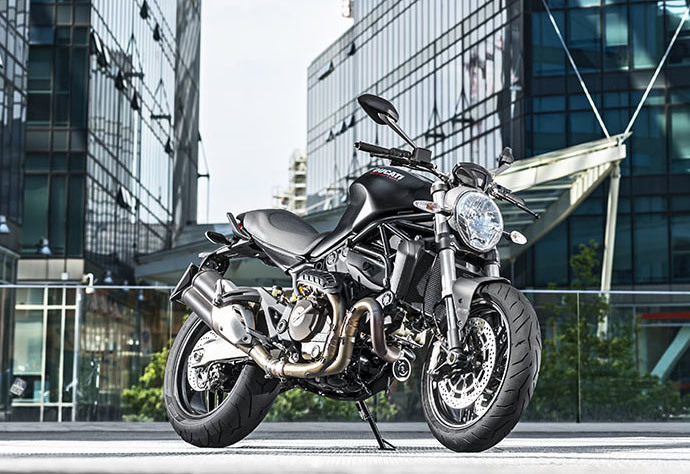 The unit develops 112 horsepower and 65.9 pound-feet of torque which is good enough to put up a tough competition against its rivals that include the Triumph Street Triple, Kawasaki Z800, MV Agusta Brutale and the Yamaha MT-09. 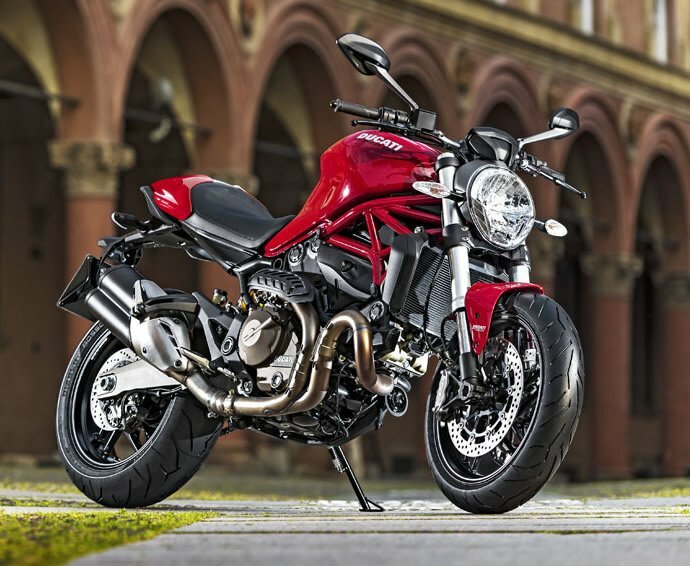 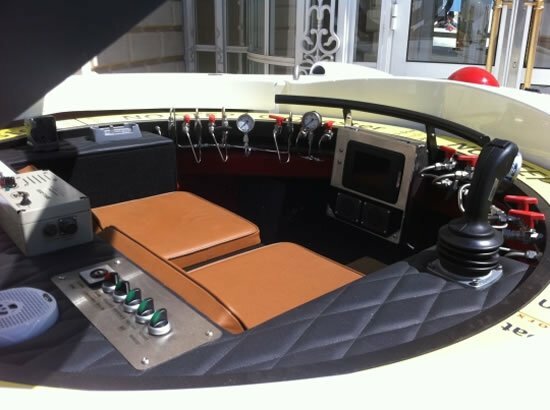 That’s not all, in fact the Monster 821 has also received a lot of the tech upgrades from the 1200S as well, including an adjustable seat height, eight-level traction control, three-level ABS and three-level Ride-by-Wire throttle control. 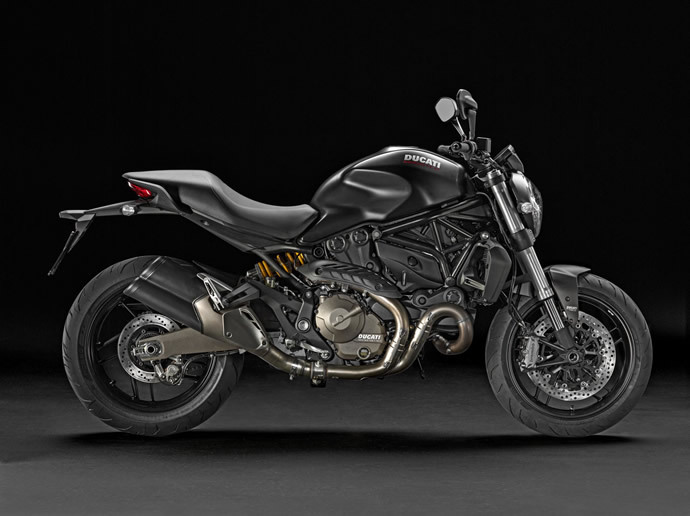 In the US, it will hit the showrooms by July and the blacked-out Monster 821 Dark will sell for $10,995, while the regular 821 (red, with red frame and black wheels, or white with a red frame and matte-red wheels) lists at $11,495.